Recently, we have published our first ever YouTube video about What makes a Good Domain Name. David Kelly (Founder of OY! 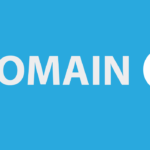 Domains) goes into detail about the key components of what makes a good domain name. A good domain name is Easy To Remember! The biggest brands in the world have a domain name that is easy to remember and type. 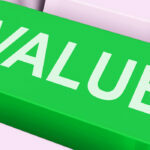 The domain is ideally specific to your brand, product or service and can be promoted across different media channels. For example, if you were promoting your business on the radio, you want listeners to hear your domain and find it memorable and easy to spell. If your domain fails this test, you have lost a potential audience or customer pool. So, whether your domain comes up in conversation, email or through marketing, you want your name to be easy to remember. The Shorter the Better. Brands such as eBay, Amazon and Walmart all have domains that are short and snappy. Shorter domains are more memorable and have many marketing advantages over longer names. We would recommend that your domain name is less than 12 characters long. After over 20 years of the modern adoption of the Internet, it is still surprising to see hyphens in a domain name. Good names do not contain hyphens. Very few people remember the hyphen in a domain name – this affects your possible conversion rate substantially. Also, hyphens have a devaluing quality that can cheapen your brand. Make sure that your brand name doesn’t contain any hyphens. .COM is still king and local domain extensions like .CA, .CO.UK, .COM.AU etc have a lot of credibility, but in the past 2 years, a large number of new domain extensions have come on the market. If you choose to use one of these, you need to make sure that both left and right of the dot in a domain name make sense. Football.club makes sense, but Marketing.shop doesn’t. Make sure that your keyword or brand works with the domain extension that you use. Domain Age is not relevant for newly registered domains/ domains that you want to register, but if you are looking to buy a domain, you will probably be buying a domain name with some age to it. Generally good domains have age or a story behind them. Age adds a sense of nostalgia and purpose, which can develop credibility with your users/ customers. You can check the age of a domain name using any Whois service such as Who.is. A good domain name will have a clean domain history and no penalties from search engines that could affect your SEO efforts. If you are looking to buy a domain name, it is worthwhile doing your due diligence and use services such as Screenshots.com and Google penalty checkers to check that your domain name doesn’t have a past use that could have a negative effect on your brand or your ability to rank in Google. If you acquire/ buy a domain name with established, quality backlinks that are relevant to your brand, you have a GREAT name of which you can leverage a number of extra marketing benefits immediately including Direct Traffic and Domain Authority. Strong backlinks from authority websites will help your SEO efforts substantially. Established backlinks do not contribute towards whether a domain name is good or not, but if it has quality one’s, it is a massive BONUS for your brand. You can use tools such as SEMRush, Alexa and Ahrefs to check what backlinks (if any) are linked to a domain name. If you found this video interesting, please subscribe to our YouTube channel and never miss a future video. Do you agree with our points? Would you add anything to our list? Please feel free to leave your comments below.